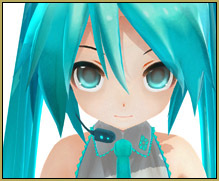 Piapro is a Japanese site built for distributing or showing off artwork of vocaloids, whether it’s 3D or just a drawing. Many famous model makers upload their works to Piapro. Yet, the whole site is Japanese. Anyone who’s english will have a hard time finding out what everything means. So here’s a tutorial on how to sign up to piapro, how to upload to piapro, and how to understand the rules for everyone’s models! First, let’s sign up here is the sign up page your going to see a lot of text, that is the user agreement. You can just scroll down and click the green button to continue. On the next page you will see a blank box and a small warning about gmail. In the blank box, type in your email, the warning about gmail is just saying the verification email might end up in your spam folder. After typing in your email, click the green button. The next window will be telling you it’s sent you a verification email, you can close this tab. Just go to your email and click the link … it will continue the registration. The next page is just asking for conformation, click the green button. The next page asks for your phone number for security purposes. It won’t properly accept foreign phone numbers. this can be skipped. Now we’ve signed up to Piapro! Yay! After signing up you should be able to click 作品一覧 and go to your uploads, you don’t have any yet. You’ll see a yellow bar at the top with 8 buttons on it. Click the second button. I’d like to point out here, that I’m talking about Uploading MODELS to Piapro. I don’t know how to upload plain artwork. Great! You’ve uploaded your first work! “X” files are replacements of ZIP or RAR files. They can’t be opened unless you change the file extension to .zip or .rar (whichever you use). You can do this by clicking rename and removing the X and replacing it with zip or rar, whichever you use. 3Dモデル which means 3D model. You also might have to type in the vocaloid’s name in Japanese! EDITOR’S NOTE: You might try translating Japanese pages using Google Translate. It usually does a poor job of translating Japanese to English … but you can often see some key-words that help you to grasp the meaning. You can copy/paste blocks of text into the Translate window … or you can paste the Japanese page’s URL and then click that URL on the English side to see the whole page translated. On Piapro, this last method did not work well. Just copy/paste blocks of text for a better translation.